Helping You To Breathe: Respiratory Therapy in Wahoo! 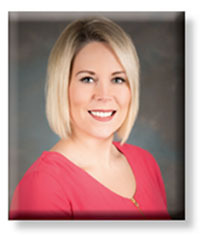 Macaela Happel, RRT loves helping people breathe better. "I have always had a passion for helping others. After extensive clinical ICU rotations, sleep rounds and rehabilitation, I realized that rehab and diagnostics were the areas I had the most passion for. I love the small community and getting to know each individual personally, which is something I have never been able to experience anywhere else. Saunders Medical Center has definitely made my career choice feel like home!" The Saunders Medical Center Respiratory Care Department provides comprehensive services for lung and breathing disorders along with expert coordinated care for our hospital and emergency room patients. The synergy between Respiratory, nurses, local providers, and our medical director, Dr. Kevin Reichmuth, allows us to provide the highest level of coordinated care for our diverse population of patients. We perform all levels of Pulmonary Function Tests (PFT) using American Thoracic Society Standards. We utilize the latest technologies in ventilation (machine assisted breathing) to rapidly stabilize our patients with mild to severe breathing disorders...right here in Wahoo! Click on Macaela's photos to learn more about her and SMC's Respiratory Therapy services!